Although Internet has not been able to reach even 16% of India’s total population, if we compare globally, Indian internet users now constitute 10 times the population of Australia! As per a recent report released by The Internet and Mobile Association of India, it has been revealed that India is now world’s third largest Internet base as she has breached 200 million internet users mark. As of October, 2013, India has 205 million Internet users, compared to 245 million users from US and 300 million users from China. It has been estimated that by June, 2014, India will have 240 million+ Internet users, surpassing USA and becoming world’s 2nd largest Internet base after China. 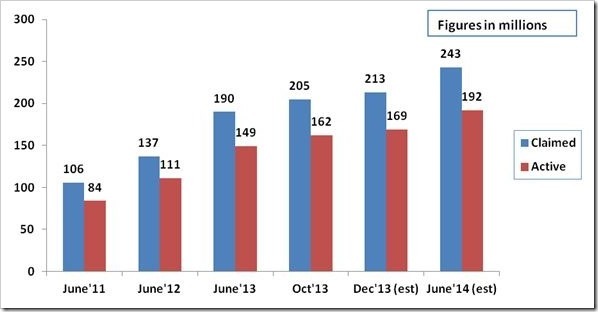 Compared to last year, we are observing 40% growth in terms of increase in Internet users. By December 2013, it is estimated that we will be 213 million strong in terms of Internet usage. If analyzed separately, then India has 137 million users from urban locations and 68 million users from rural areas. Since June 2012, rural India has seen more year on year growth at 58%, compared to urban usage. This implies that the rural areas will be driving the growth rate of Internet penetration in India, compared to urban locations, and this makes the whole analysis more exciting. 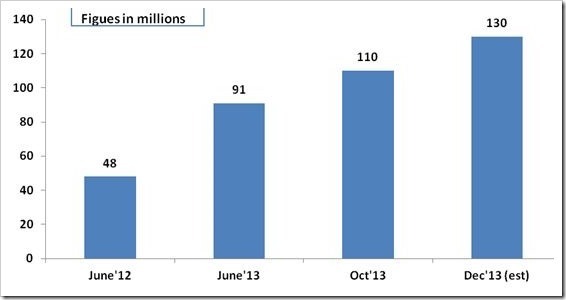 By end of December 2013, it is expected that rural India will have 78 million Internet users. The internet revolution in rural areas is no doubt being lead by mobile phones. With the technology becoming cheaper, even low-end mobiles now offer Internet features, which enable easy access to Internet for a typical rural resident who can’t access PC and Laptop often. The statistics in the report proves that. As of October 2013, there are 110 million Internet users who access web via mobiles; which will reach 130 million by end of December. This segment is witnessing 47% year on year growth, which is highest in the world. Interestingly, teenagers constitute the largest percentage of Internet users in India: 60 million out of 205 million users are college students under the age of 21. Facebook must be hugely worried by this revelation, as teenagers are leaving them in massive numbers. One another very interesting data which has been revealed is that 50% of all urban Internet users access Internet on a daily basis. And both working class, non-working class, women and teenagers have shown this trend. Ecommerce and Social Media startups would definitely want to probe this figure and churn out the best possible strategies for online marketing. Once you know that your target customer will use Internet daily, then it changes the market equations. The evolution and adaptation of Internet in India has been really interesting. We took 10 years to move from 10 million to 100 million Internet users but only 3 years to move from 100 million to 200 million. 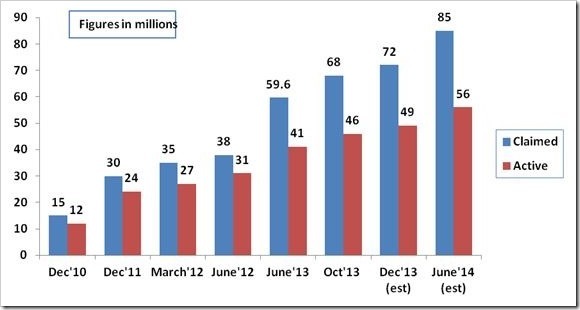 One of the reasons for this spurt is obviously the phenomenal growth that mobile internet has seen in India. Close to 88 million new mobile internet users have been added over last 18 months alone, which clearly shows that Indians are now using internet through mobile much more as compared to desktop PCs. And this growth is only expected to accelerate as the mobile internet rates are tumbling quite fast. It would be interesting to watch the growth curve now, as we are about to beat US in terms of Internet users, and then China is not too far away either. Will eCommerce and Travel sector in India now witness more startups and more ideas? Will the burgeoning Internet users in India can bring in another revolution? If the number of internet users in India, increase in this rate, then, that day is not far when our country will have the largest pool internet users in world. So obviously it’s a big opportunity for online startups, and obviously this trend will generate a huge scope for digital marketing.